Stacy from Not Just a Housewife did a lovely redo of her bedroom. Chandelier? check, gorgeous and unexpected ceiling? check. DIY? check. Such a great job and a great inspiration! 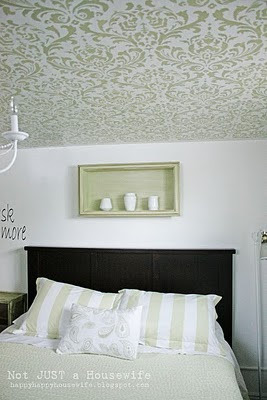 She stenciled the ceiling! Talk about an arm workout!